The Prosecutor's Office of Kyiv region revealed 580 tonnes of humanitarian aid, which a charitable foundation had sold to various companies instead of its free distribution to the vulnerable population, the office’s press service wrote. 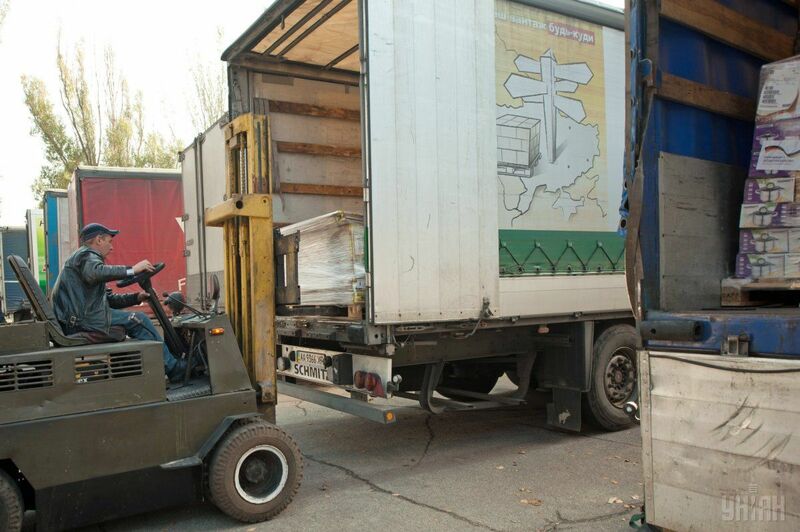 According to the law enforcers, the officials of one of the charities in Kyiv region over 2015-2016 imported through the Kyiv customs of humanitarian goods: 580 tonness of clothes and shoes that were in fact sold for cash toe private entrepreneurs and businesses from different regions of Ukraine. "The cover-up for this illegal activity by the officials of the charity fund was provided by submitting to the Ministry of Social Policy of Ukraine of false data about the alleged distribution of relief supplies among socially vulnerable groups, representatives of the volunteer movements, orphanages, and religious organizations," reads the statement. Read alsoFive killed in shooting reportedly by mistake between police and state guard serviceAccording to the results of searches carried out by the Prosecutor's Office of Kyiv region and the State Fiscal Service’s office in Kyiv region, primary documentation, draft notes for the commercial sale of charitable assistance was seized, as well as computer equipment and two containers with humanitarian goods, as noted by the press service. Criminal proceedings under part 3 of Article 212 of the Criminal Code (tax evasion) were launched.